With the number of valuable gadgets and ones that contain sensitive information on the rise, the need to track and prevent them from falling into unsafe hands is imperative. 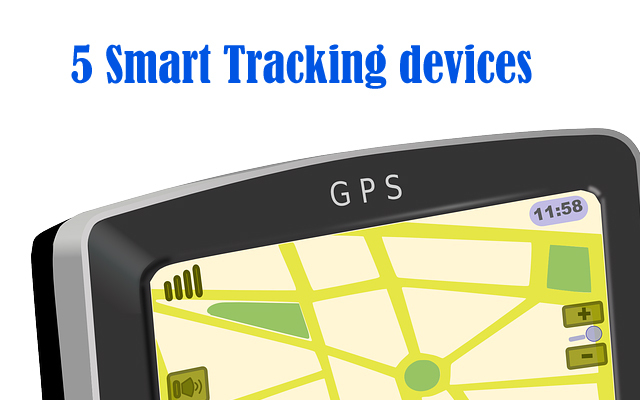 In comes another gadget to take care of this need – the smart tracking devices. 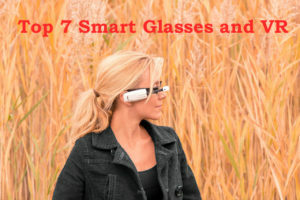 These are tracking device that can smartly notify you when a connected device is getting farther, outside the set boundary so that you can take corrective actions. 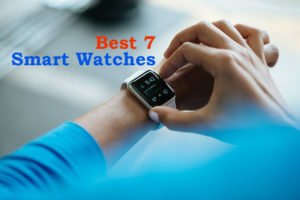 We review the 5 best smart tracking devices for you so that you take an informed decision to buy the one that suit you the best. 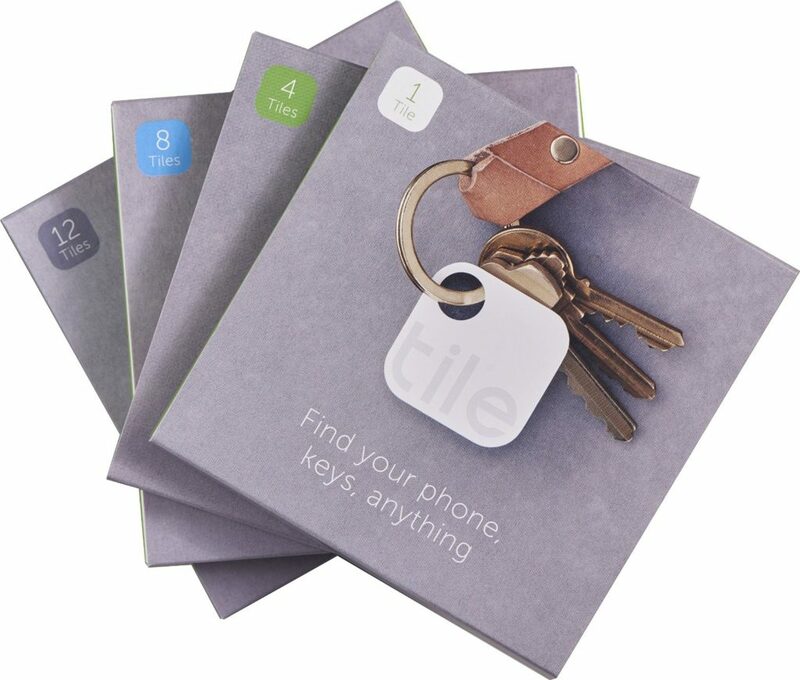 The Tile TLE -02001 Bluetooth Tracker is an easy to use device which can be used to find out anything you lost or misplaced. This can be used with keys, bags, phones, cameras, or anything that you do not want to lose. You can attach, place or stick the Tile to the items that you want to keep safe and you can track the item in the App provided by Tile. You can locate the lost item even by the sound or by tracking its last position in the map. If you have lost your phone you have to just press the tile and the phone will start ringing (Even when in silent mode) if it is within the 100 meter range. The tiny speakers in the Tile let out 90 decibel sound which is audible even from under a stack of dress. 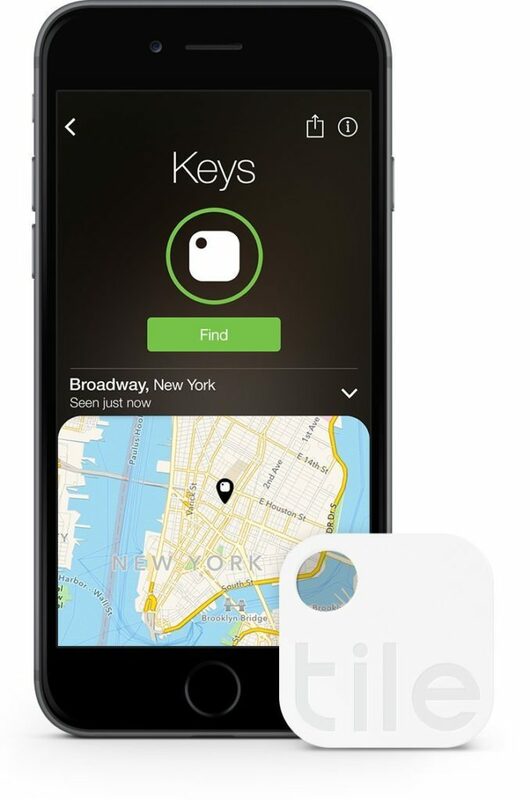 If your phone is not within the 100 meter range still Tile makes it easy to track your lost phone. You have to log into the Tile’s web App to see the phone in the map where it was found last or to ring it or you can send messages which appears in the lock-screen who might find it. You can download the App provided by Tile on all your devices and your devices turn into a virtual tile which means you can use the App to find the other lost devices on which the App was installed. The Tile is compatible with almost all Operating Systems and it is cross-platform operational. The generation 2 Tile Item finder is a premium product of Tile. 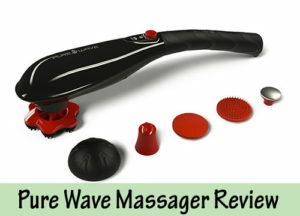 This is specially designed for those who tend to misplace their items frequently. You can make the Tile ring and if you still can’t locate the item open Tile App and locate the item in the map. You also have an option to ask help of the Tile community to find your item. If you misplace your phone; you just press the Tile and the phone will start ringing even in the silent mode. You even can send a lock screen message to your phone so that the person near the phone can help you to get your phone back. This is made possible by logging into the Tile’s website. The Tile technology is compatible with iPhones (Released in 2011 or later), iPad (Released in 2012 or later), iPad mini, iPod Touch, Apple Watch, Samsung Galaxy S5, S6, Note 4, HTC One and One M8, LG Nexus 4,5 and 6, and Motorola Moto X. Tile uses BLE (Bluetooth Low Energy) technology and has a range of 100ft, however it works effectively at 30ft range. The weight of this Tile is just 37 grams and its size is 37 x 37 x 5.3 mm. The Tile comes with battery life of one year and once the battery is exhausted you can contact the manufacturer, they will replace the device with one of the latest technology. 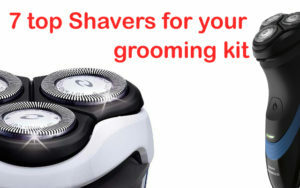 This comes in a 4-pack so that you can pair up to 4 items. 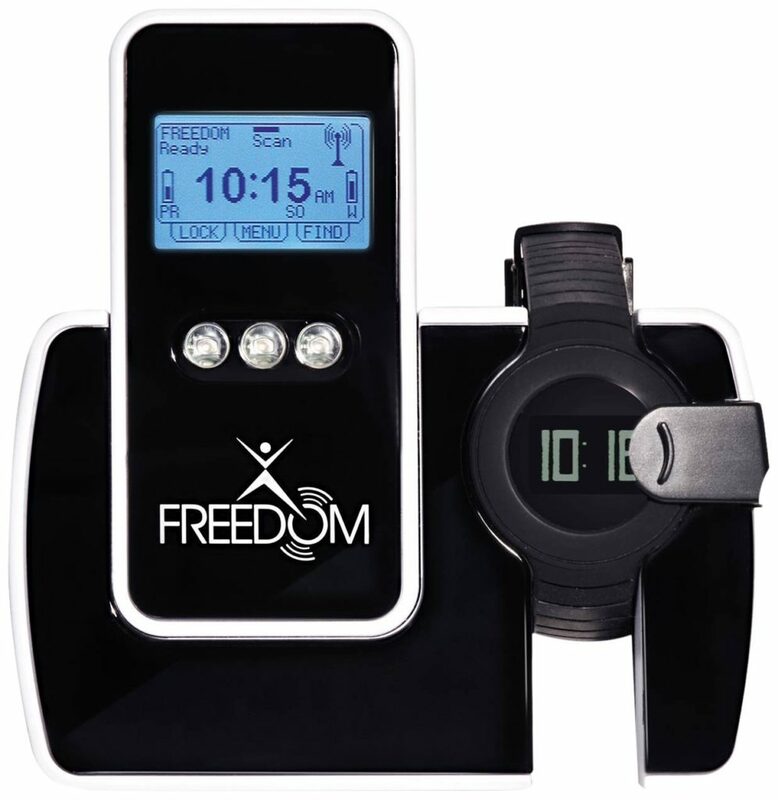 LOK8U Freedom wristwatch incorporates GPS and GSM Locator, lockable strap, a charge base and a portable receiver. Freedom is a detector that finds out wandering objects. You can locate your loved ones by sending a signal using portable receiver and the wristwatch in their hand transmits the signal. You have to have a 1 year contract with LOK8U for email, text messages and portal tracking. There is another interesting feature called Panic Button which allows you to send an SMS alert with the location of emergency and when it happened. The case of this watch is made of High-impact polycarbonate material and the wristband is made of non-hypoallergenic rubber. The Radio frequency range inside the house is a maximum of 35 feet and outdoor it is 10 feet. 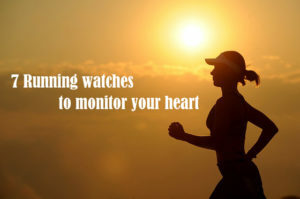 For the one who wears the wristband it is just a watch but for us who has the remote or the portable receiver it is the smart watch which helps us be connected to our loves ones all the time and they can also enjoy their time in our absence. The band can be affixed as a normal wrist watch but you also get a locking feature which can be unlocked only using a specialized release tool. 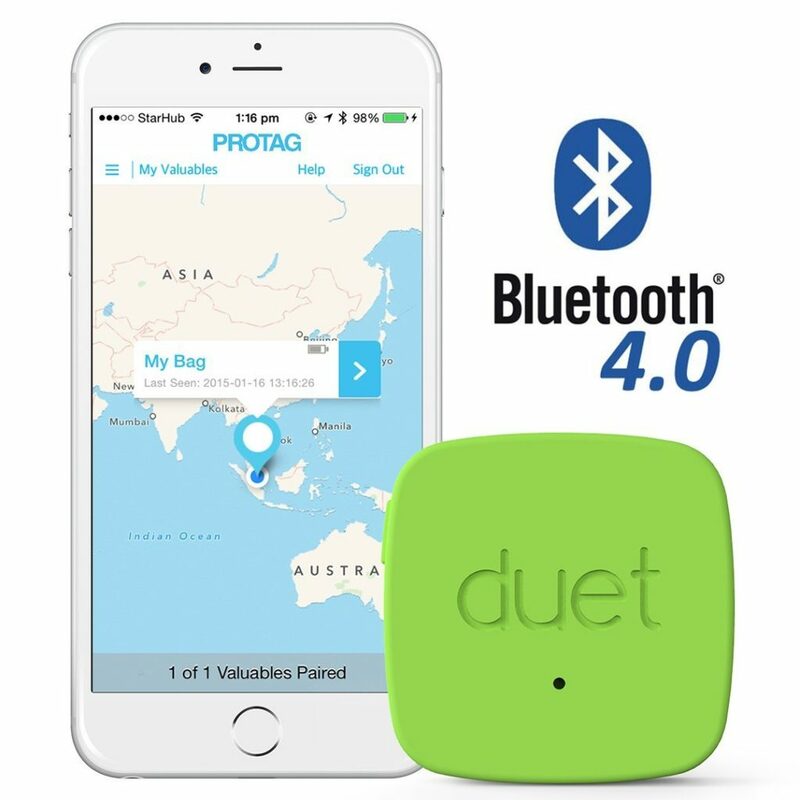 The PROTAG Duet Bluetooth Tracker is a small tracking device that works using the latest Bluetooth v4.0 technology. You can pair your PROTAG Duet Bluetooth Tracker with your phone. So if you leave behind your valuables the Duet buzzer alerts you immediately. The Smart Radar in the Duet scans a range of 30 meters for valuables or phone and maps it on the Radar Screen. This is a two way tracker which means that the Duet buzzer starts to ring if the phone goes out of 30 meters range. If you leave the phone and take the Duet with you the phone starts ringing. The PROTAG App that you installed on the phone helps you to track your items. When an item (Duet should be attached to the item) paired with your phone goes out of the range of your phone the PROTAG App records the location in addition to the alert. If you misplace the phone you can log into the PROTAG Trace system using the link https://trace.theprotag.com/. Once you get the location you can use Duet to ring your phone. Installing the App is pretty simple. Just download the App from respective stores. Put the battery in the Duet and turn it on. Open the App and PROTAG App will guide you in pairing the Duet with the phone. Once the pairing is successful the blinking red light on the Duet will turn to blinking blue light. The Duet needs BLE (Bluetooth Low Energy) enabled phones with Operating Systems Android 4.3 or higher and iOS 7 or higher. The CR2016 (Replaceable) battery in the Duet can give you a life of up to 6 months. 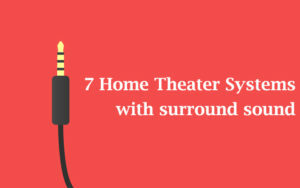 You can pair up to 10 Duets with one phone. 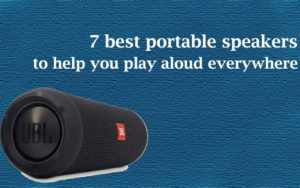 The Duet weighs just 6 grams with battery and measures 28 x 28 x 6 mm. 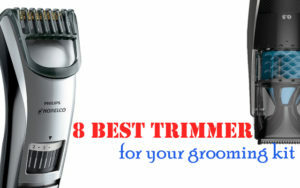 To give a stylish look the Duet comes in 5 different colors. 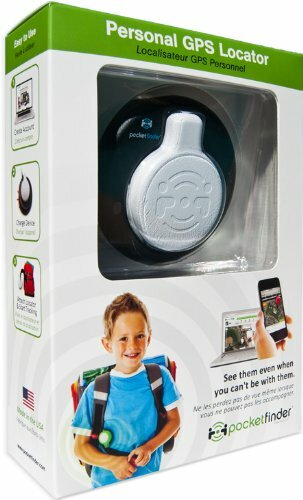 This GPS Locator manufactured by PocketFinder can be used to keep track of your loved ones, pets and vehicle. Now you can have peace of mind by seeing where your children or parents are. You can use this device to track even your pets. You can also monitor the place, time of arrival and departure from that place, and even the complete travel route. The PocketFinder online portal or the mobile App (Compatible with Android or iOS operating system) helps you monitor and track your loved ones. The GPS Locator is ideal for families having school kids, seniors who may lose their way, pets that wander a lot or even a teenager who got the driving license recently. You will get alerts when they enter the geo zone or go out of the zones you have created with the help of Google Maps. The alert may be in the form of push notification, email or SMS text. The PocketFinder server stores the travel history for up to 60 days. The GPS pet tracker with the nylon case can be attached to your pet’s collar easily and will enable you to track your pets. The PocketFinder 3G GPS Vehicle Tracker records the speed, heading, nearby address and altitude of your vehicle’s location. If the vehicle is moving, the location is updated every 60 seconds and will be alerted if the PocketFinder is moving faster than the set speed limit. Adding to all these facilities, PocketFinder GPS Trackers comes with the most important feature of all – the SOS signal. If your loved ones are in any kind of danger, they can send you the SOS signal by tapping the GPS Locator 3 times against any solid surface. The location is updated on the map every 2 minutes. 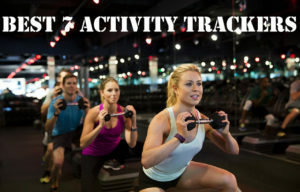 You will need to enroll to the service plan (Monthly) like all GPS trackers. The battery capacities are 700 mAh for Vehicle Tracker and 800 mAh for other three (Child, Senior and Pet Tracker) GPS Locators.